Introducing the iPhone XS and iPhone XS Max. Courtesy of Apple. Matching up to the leaks and rumors, Apple released an “S” version of last year’s iPhone X along with a larger model. The iPhone XS and iPhone XS Max actually replace last year’s model, and come equipped with some serious upgrades. Biggest first-glance upgrade: display. Both models boast a stunning Super Retina, with the iPhone XS Max having the largest display on an iPhone ever. Gamers, rejoice. The new Core ML engine is comparable to that of a high-end console when it comes to both speed and graphics. It runs nine times as fast while using only 1/10th of the energy. Improvements with Face ID technology means better security with faster access. The new A12 Bionic chip is a big freakin’ deal; it’s the very first 7nm chip ever in a smartphone. Fan of AR? Apple kicked up it’s augmented reality skills with the new ARKit 2. Enjoy immersive multiplayer arcade games, sharpen your basketball game with the new Homecourt app and so much more when the kit is released later this week. The dual-lens 12MP camera got quite an upgrade with new Smart HDR and depth of field adjustment features. New dual SIMs option makes it easier than ever to travel abroad with the new models. In addition to last year’s space gray and silver finishes, the iPhone XS and iPhone XS Max will be available in a new gold finish. iPhone XS will be available in a 5.8″ screen starting at $999 and the iPhone XS Max in a 6.5″ screen starting at $1099, shipping beginning September 21st. 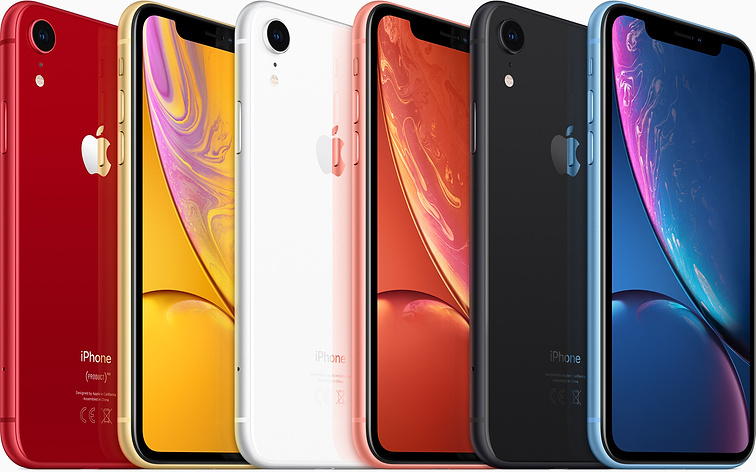 iPhone XR will be available in five fresh finishes. Courtesy of Apple. Taking into consideration that not everyone is able to enjoy a phone that’s nearly four figures, Apple kicked its SE model to the curb and introduced the new iPhone XR. This option includes a majority of the iPhone Xs and iPhone Xs Max features. Apple introduced “Liquid Retina” with the iPhone XR. Although it doesn’t come with an OLED display like its higher-priced siblings, it comes with and edge-to-edge LCD 6.1″ display. The single lens 12MP camera also has portrait mode and wide angle option. iPhone XR also carries the powerful new A12 Bionic chip. The battery life lasts nearly an hour and half more than that of the iPhone 8 Plus. New finished include (Project)Red finish, yellow, white, coral, black, and blue. Preorder for the iPhone XR starts October 19th with prices beginning at $749. Apple Watch Series 4. Courtesy of Apple. Apple opened its event with an exciting look at the redesigned Apple Watch. The updated look is only a small part of what the accessory’s fourth series brings to the table. Available in new 40mm and 44mm sizes, the new Apple watch has a face that is 30% larger than last year’s model. Redesigned curved edges feature a number of new dynamic watch faces. The side wheel has a new “click” feature that makes it easier to scroll through options, offering a physical click feel. Described as “an intelligent guardian for your health” at the event, the new watch features an EGC (electrocardiogram) to monitor heart rhythm and even send reports to your doctor. Apple introduced a new technology that can detect when you trip, slip or fall while wearing this watch. If motion is undetected for 5 minutes, the watch will automatically connect with your emergency contact. 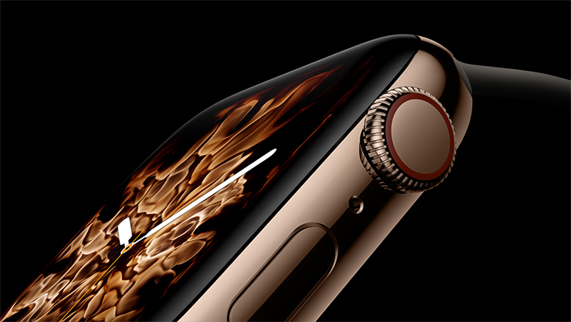 Offered in a new gold finish in addition to current options, the series 4 Apple Watch starts at $399 for GPS and $499 for GPS + cellular option with preorder beginning September 14th. And there you have it! Looks like Apple definitely delivered on the phone front. If you’re considering trading in and grabbing one of the new iPhone models, we’re giving you a chance to lock in an offer with us by September 19th, 2018. Your phone value will start to rapidly decrease with the release of the new models, so locking in an offer gives you until October 19th to trade in and get the most money for your phone! The post 2018 Apple Event Recap: The New, The Missing and What’s Next Claire Calvet appeared first on Gazelle The Horn. Next articleRestaurant Grease Interceptor Price: How Much Does It Cost For Trap Cleaning?